This battery is one of a kind! It's a 30 Amp battery with a 3000mAh Battery life. It is ready to perform and deliver power to all your 20700 devices! 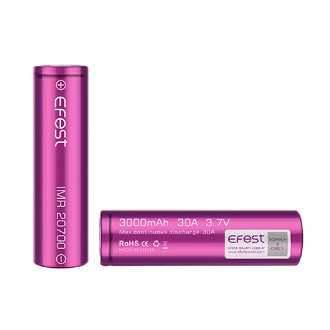 Note: The IMR 20700 3000mah lithium Ion Battery is not compatible with regular 18650 devices, this battery is only compatible with 20700 chargers and devices.